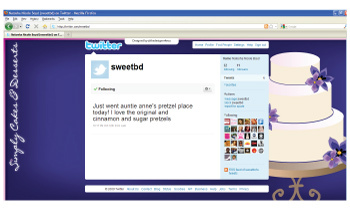 Have you seen personalized Twitter backgrounds? If you are into using Twitter for your small business needs and want to brand your account, ask us about designing you a custom layout. 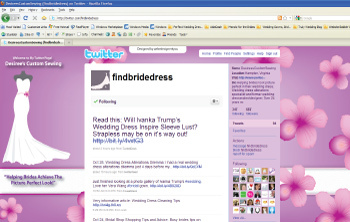 Check out the examples below of Twitter layouts that I have created for small businesses. 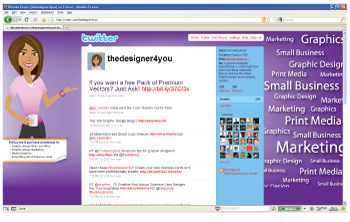 To view a larger image, simply hover your mouse over the thumbnail. This business card was designed to be sleek, classy, and elegant. The front side is finished off with high gloss. Serving the Hampton Roads area in Virginia including Hampton, Newport News, Yorktown, Poquoson, Williamsburg, James City County, Norfolk, Smithfield, Suffolk, Portsmouth, Chesapeake, and Virginia Beach.